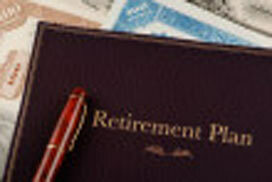 An IRA Certificate requires an IRA Plan to be opened before a certificate can be set up. There are currently three types of IRA Plans available at the credit union. In order to choose the correct plan for you, it may be necessary to consult your tax advisor for information. The following is a short overview of each Plan currently available. The Traditional IRA is an account which allows you to defer taxes on your earnings until they are withdrawn. Also, certain contributions are tax deductible in the tax year for which they are made. If you are under age 70.5 for the entire tax year and have earned income (or your spouse has earned income,) you are eligible to establish a traditional IRA, even if you participate in any type of government plan, tax-sheltered annuity, simplified employee pension (SEP) plan, Savings Incentive Match Plan for Employees of Small Employers (SIMPLE,) or qualified plan (pension or profit sharing) established by an employer. The tax deduction allowable depends on specific criteria. You can contribute any amount up to 100 percent of your compensation or $2,000, whichever is less. There are specific criteria for withdrawals. For tax questions consult your tax advisor. The Roth IRA is a nondeductible account that features tax-free withdrawals for certain distribution reasons after a five-year holding period. There are two requirements for eligibility to contribute to a Roth IRA: you must have earned income (or your spouse must have earned income) and your modified adjusted gross income (MAGI) cannot exceed certain limits. You may contribute up to 100% of your earned income or $2,000, whichever is less, as long as your MAGI are within prescribed limits. There is no tax on earnings provided you take the earnings as part of a qualified distribution. For tax questions consult your tax advisor. The Education IRA is a nondeductible account that features tax-free withdrawals for a very specific purpose - a child's higher education expenses. At first glance, the Education IRA looks similar to the traditional and Roth IRA's. After all, higher education distributions are permitted from these accounts as well. The crucial difference is that while qualified higher education distributions from a traditional or Roth IRA are penalty-free, the same distributions from an Education IRA are penalty-free and tax-free. For tax questions consult your tax advisor.